We're celebrating spring with a grab-bag of fun, funny, weird, and inspiring short films. Current Chicagoan Lori Felker reports on her dreams in Broken New: Disaster (2012), while former Chicagoan Jo Dery teaches us about the industrialization of Rhode Island in Echoes of Bats and Men (2005). 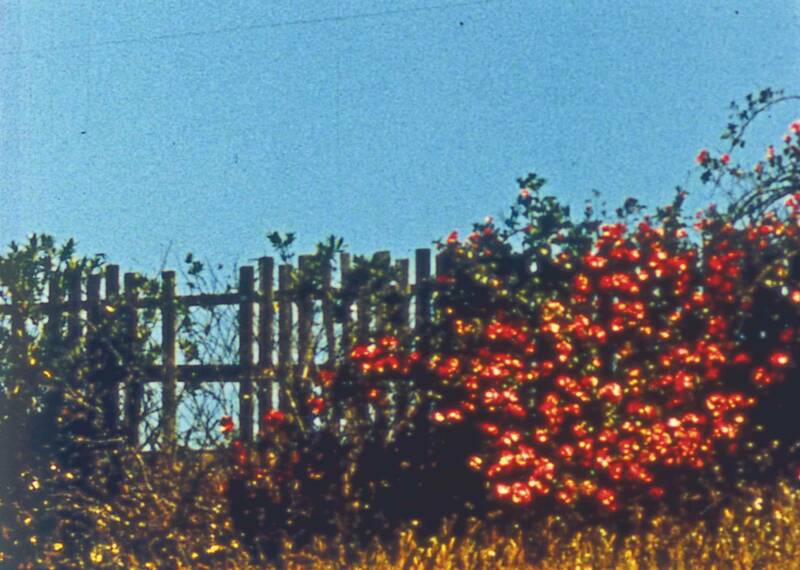 Bruce Baillie's All My Life (1966) finds transcendence in a Billie Holiday song and a fence full of roses, and Joyce Weiland parodies agitprop films while making a brilliant one in Rat Life and Diet in North America (1968). The program also includes Amy Lockhart's animated extravaganza Walk for Walk (2005), a soundie or two, and more films guaranteed to induce spring fever. Rat Life and Diet in North America – Joyce Weiland, 16mm, 16 min. Broken New: Disaster – Lori Felker, digital, 4 min. Fats Waller - Ain’t Misbehaving – unknown director, 16mm, 3 min. Spooky Boo’s and Room Noodles – Somersaulter-Moats, digital, 7.5 min. Ponies Ponies Ponies – Lisa Barcy, digital, 1 min. Echoes of Bats and Men – Jo Dery, 16mm, 7 min. Ro-Revus Talks About Worms – DVD, 6.5 min. Mound – Alison Schulnik, digital, 4.5 min. Ricky and Rocky – Tom Palazzolo, 16mm, 15 min. Walk for Walk – Amy Lockhart, 16mm, 10 min.